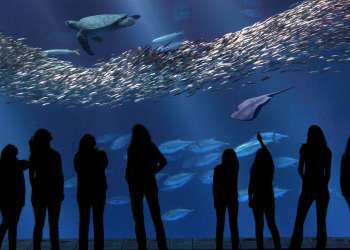 Make the most of 4th of July (and your 3-day) weekend in Monterey! 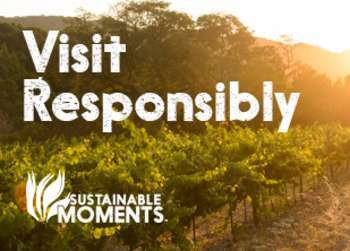 A group of local insiders have compiled a list of 10 helpful tips and activities to help you fully grab life by the moments while in Monterey County. Show us which one of the tips you took advantage of by using #GrabYourMoment. Click here for a full list of 4th of July events in Monterey County. 1. Immerse yourself in a slice of history at the Cooper-Molera Adobe. 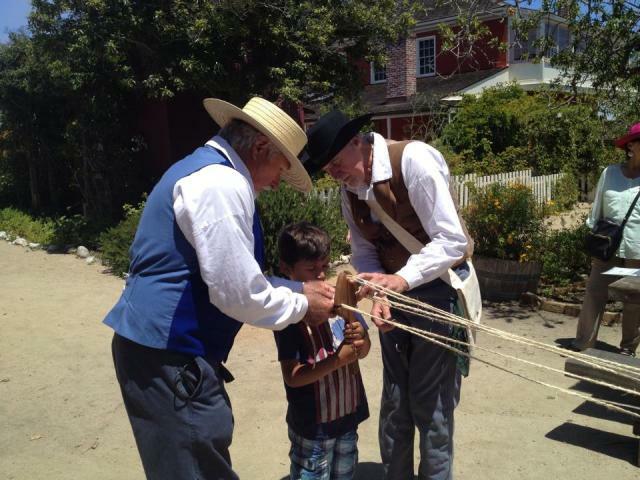 The iconic adobe in downtown Monterey opens its doors after the 4th of July Parade with all sorts of historic demonstrations like rope making, butter making and blacksmithing. The event is open to the public from 11am-3pm. Admission is $3 for adults and $2 for youth. 2. Feel the wind breeze through your hair as you rent a bike or surrey on Cannery Row. Cruise down the Monterey Bay Coastal Recreation Trail to Lovers Point in Pacific Grove for epic views of the scenic coastline. 3.Get your 4th of July weekend started off on the right foot by hiking at Garland Ranch Regional Park. Afterwards rewards yourself at one of the many tasting rooms in Carmel Valley village. 4. Grab a beer and relax in the Adirondack river chairs at Big Sur River Inn. 5. Gather your peeps and simply soak in the sunshine at Del Monte Beach and/or Carmel Beach. Great people watching, especially on a holiday weekend! 6. After a heart-pumping hike at the Pinnacles National Park wind down Highway 1 to King City for a spectacular fireworks show. 7. Start off with a strong latte and almond croissant from the Big Sur Bakery, meander down the coast and check out the art galleries and shops sprinkled among the hillside. Have a late lunch on Nepenthe’s terrace, when the fog has cleared and the spectacular views of the Pacific are on display, much better than a fireworks show. Top off the delightful day around the fire pit at Big Sur Roadhouse with a wine slushy, made with Monterey County wine and homemade ice cream! 8. 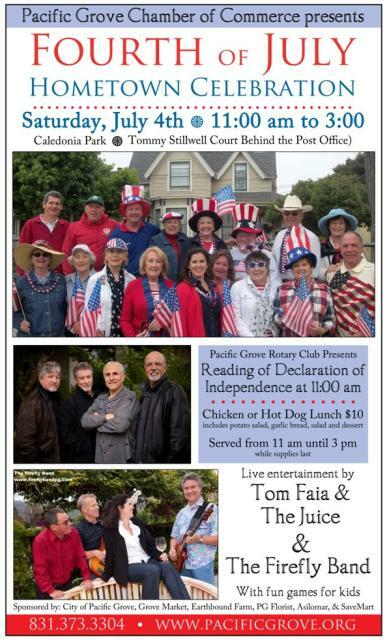 Head to “America’s last hometown” for a traditional down-home 4th of July BBQ in Pacific Grove! Choose from a delicious hot dog or chicken lunch for just $10 accompanied by live music from The Firefly Band and Tom Faia & The Juice. 9. Get on your bikes and experience the 17-Mile Drive for free! There is no gate fee for bicycles and it is a wonderful way to experience the beauty of Pebble Beach. Pack a lunch and enjoy your food while looking at some of the most beautiful scenery in the world! 10. Hang out and enjoy the deck scene at Phoebe’s Café at the Asilomar Conference Grounds. Every Friday evening throughout July and August the cozy deck hosts live music, food and libations under the stars and trees.